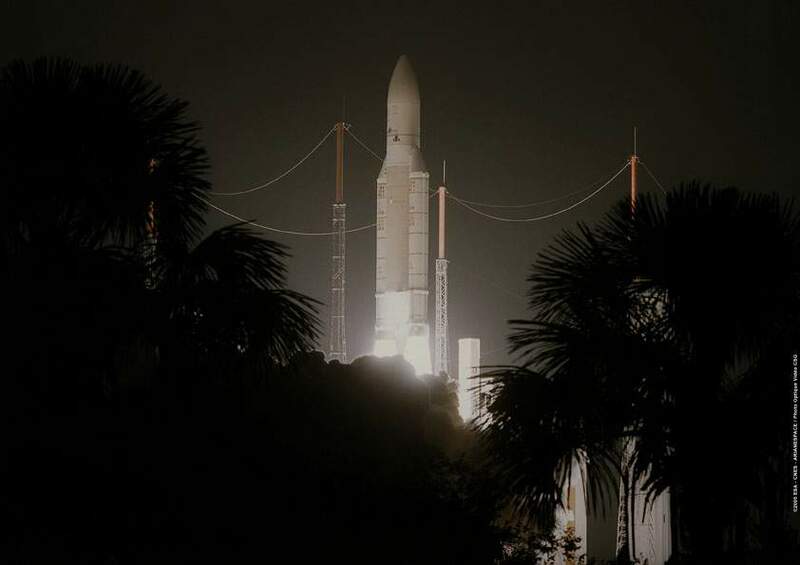 Ariane scores dual mission success : the launcher placed two payloads into geostationary transfer orbit of which the French Ministry of Defence’s Syracuse 3A military telecommunications satellite. This new satellite will support high-data-rate transmissions over very long distances from increasingly compact terminals. 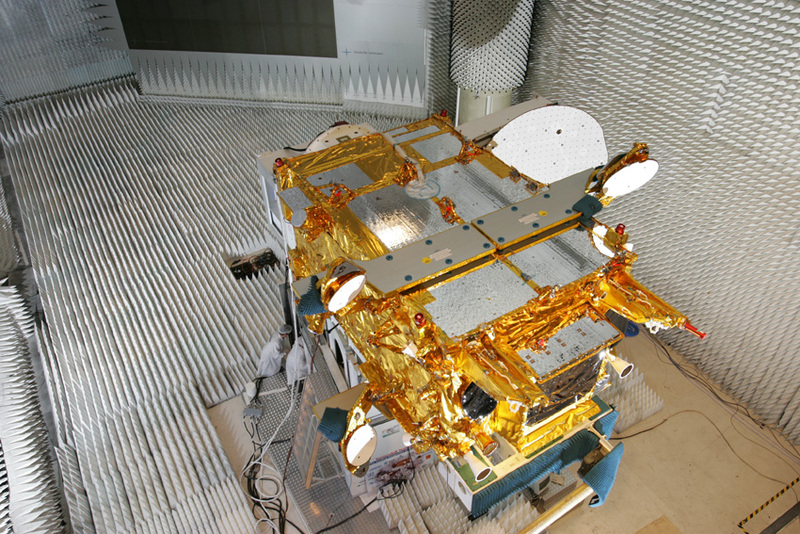 CNES is responsible for conducting the tricky satellite positioning phase on behalf of Alcatel Alenia Space. The Syracuse 3 programme is designed to ensure continuity of satellite telecommunications services for the armed forces. It will increase data transmission rates by a factor of 10, while offering great flexibility, network interconnectability, multimedia services and enhanced anti-jamming capability. CNES, which is closely involved in developing space systems for security and defence, is contributing its space expertise to the programme and assisting DGA. France’s military space policy is based on close cooperation between French Armed Forces High Command (EMA3), DGA and CNES. Drawing on its extensive experience, with 55 satellites successfully positioned to date (including more than 40 geostationary satellites), CNES will be manoeuvring Syracuse 3A into its final orbit for the satellite prime contractor Alcatel Alenia Space. CNES teams at the COR network operations centre in Toulouse will manoeuvre the satellite from its initial transfer orbit into a final geostationary orbital slot at an altitude of 36,000 km. The 10-day positioning phase is crucial to mission success, as it must be as short as possible to conserve fuel and maximize the satellite’s operational service life. Only 3 manoeuvres will be needed to position Syracuse 3A, after which Alcatel Alenia Space will take over responsibility for keeping the satellite on station. 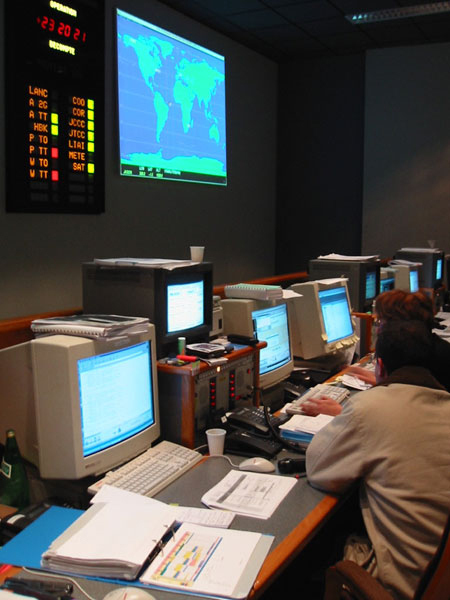 Syracuse 3A is scheduled to operate for at least 12 years and will be followed in 2006 by its twin satellite Syracuse 3B, giving France a full new-generation military space telecommunications capability.